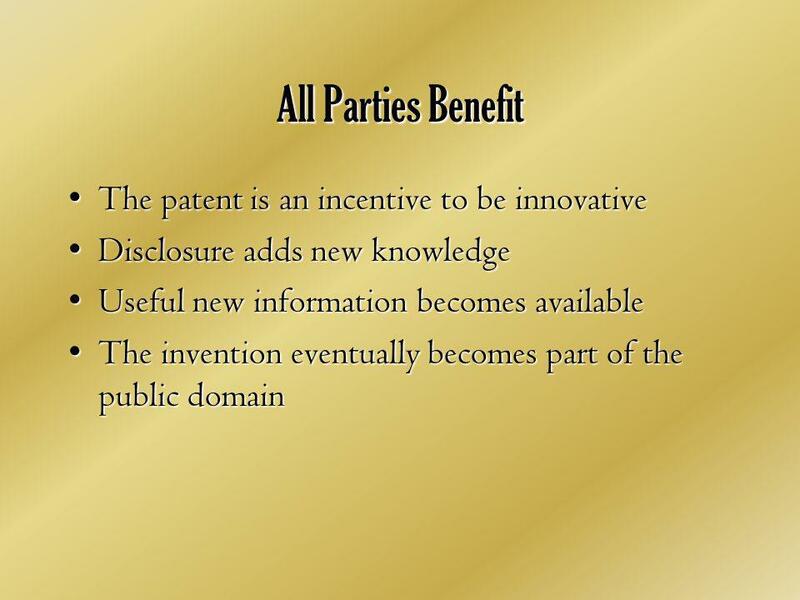 Patents. 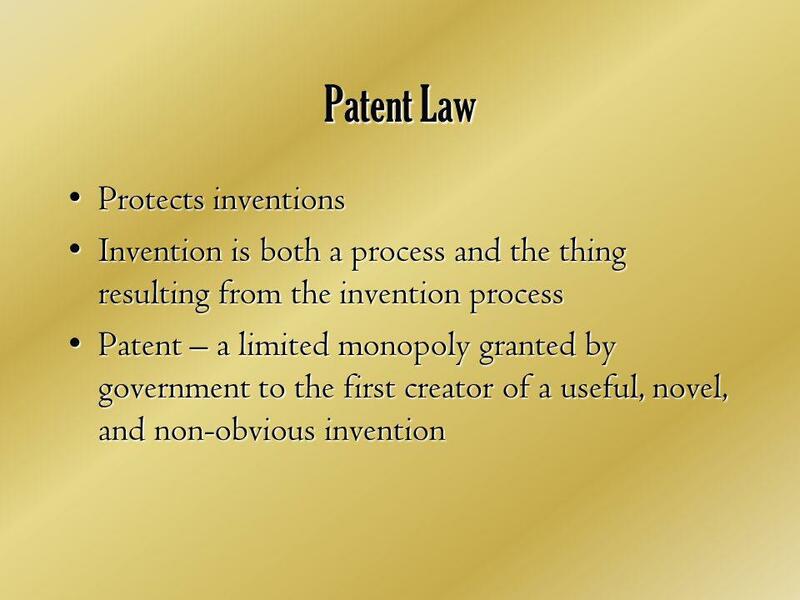 Patent Law Protects inventionsProtects inventions Invention is both a process and the thing resulting from the invention processInvention is. 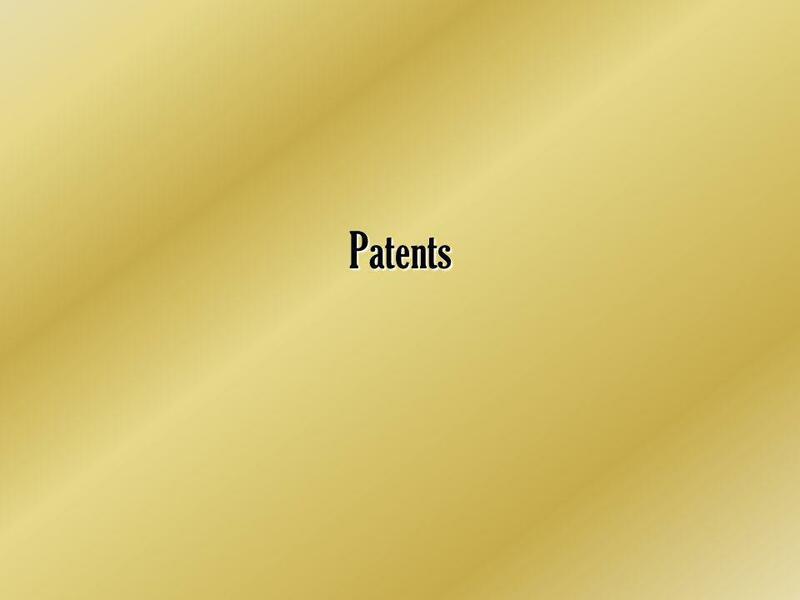 Download ppt "Patents. 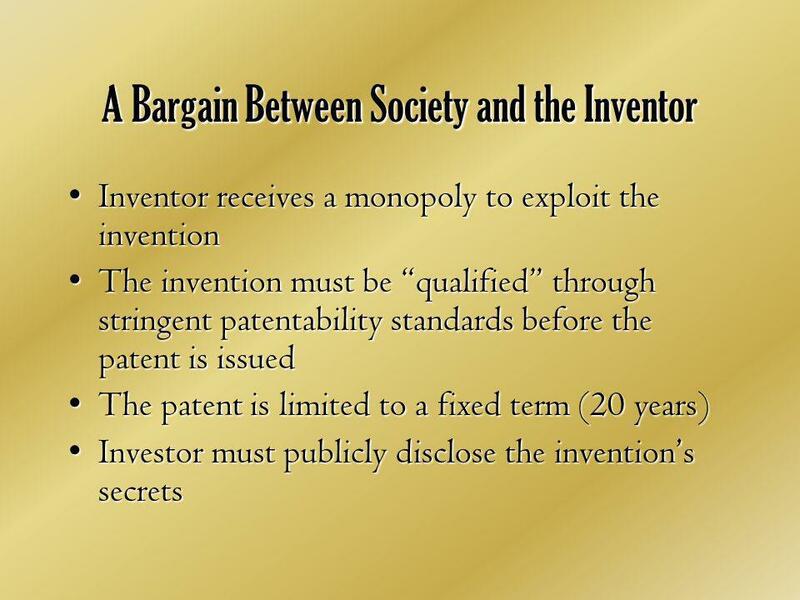 Patent Law Protects inventionsProtects inventions Invention is both a process and the thing resulting from the invention processInvention is." 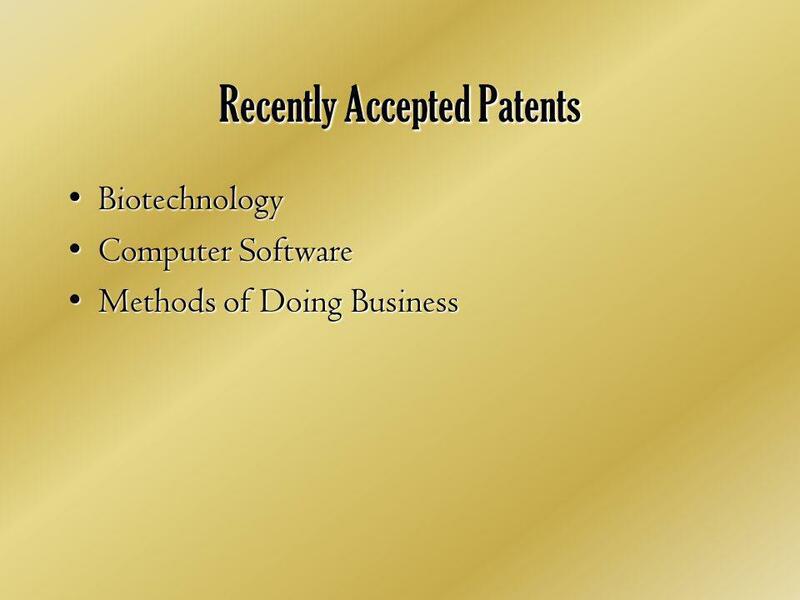 Software: To Patent or Not? Jeffrey P. Kushan Powell, Goldstein, Frazer & Murphy, LLP. Vladimir Misic: 10 Professionalism and Ethics Ownership and Protection. Now you’ve got a product… what next? Next steps in IP. Strategies for Intellectual Property Protection in Systems Design Rudolph P. Darken Dennis S. Fernandez Nelson T. Rivera LaRiviere, Grubman PC. Adapted from David G Kay -- SIGCSE 2003 Intellectual Property. 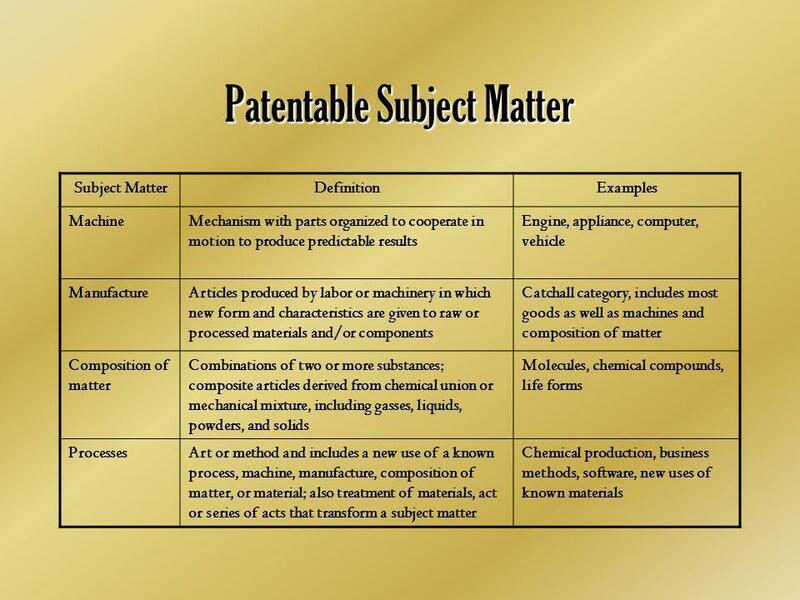 Adapted from David G Kay -- SIGCSE 2003 Intellectual Property -- Introduction What is Intellectual Property? Should creators be assured control of their. Computer Engineering 294 IP R.Smith 5/ Intellectual Property What is it? Why is it important? – What is it designed to do? What are its basic forms? 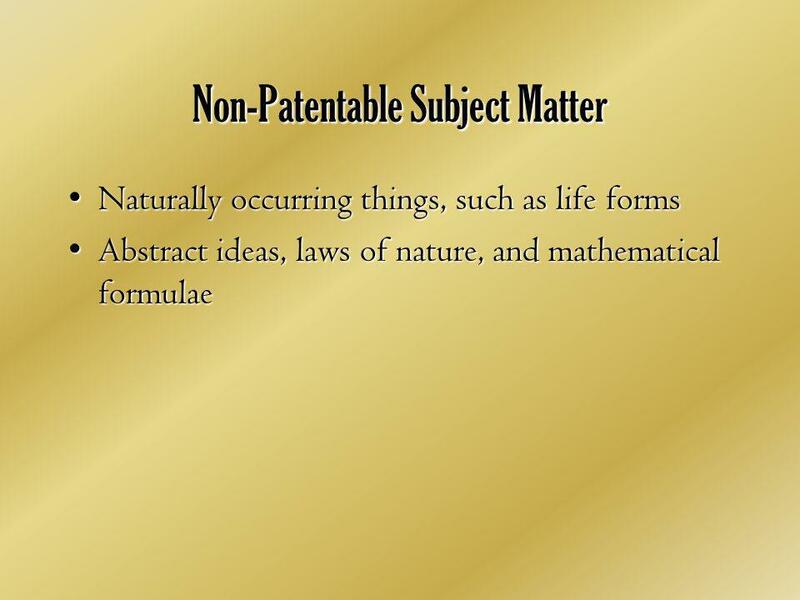 Intellectual Property An intangible asset, considered to have value in a market, based on unique or original human knowledge and intellect. Intellectual. Entrepreneurship Intellectual Property: Protecting Your Ideas 11. Intellectual Property (IP) GE 105 Introduction to Engineering Design.